Get Fast Service Today. Appliance Docc can provide Same Day Service in most cases. But our schedules fill fast. Call now to hold your spot on our schedule. 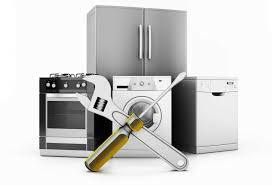 Appliance Docc Refrigerator Repair Niantic techs are refrigeration specialist. We fix all major brands of refrigeration products including high-end brands like Sub-Zero, Thermador, Viking, and more. Don’t be stuck with loads of dirty laundry, we fix all major washers & dryers by LG, Samsung, Whirlpool, Maytag, & Many More. From high-end ranges by Wolf & Viking to popular brands like GE and Whirlpool, we repair all brands of oven and ranges. Gas or Electric, Built-in or Freestanding…We do it all!